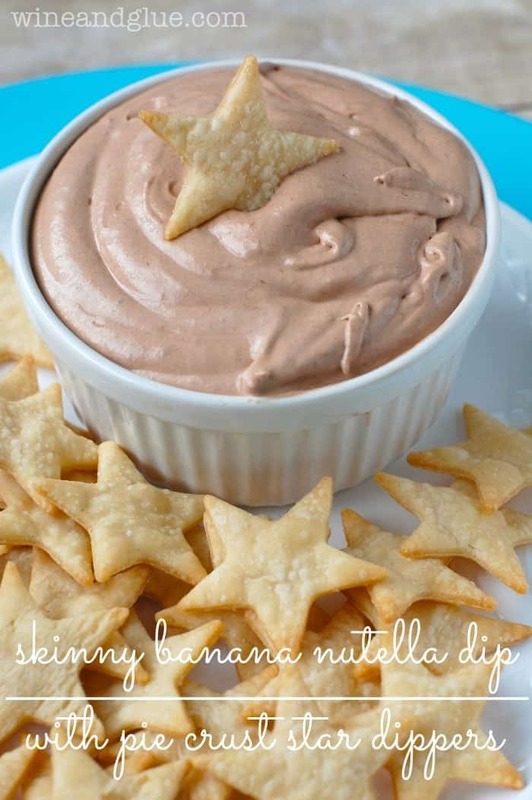 Skinny Banana Nutella Dip with Pie Crust Star Dippers | A super fun and easy dip perfect for parties! 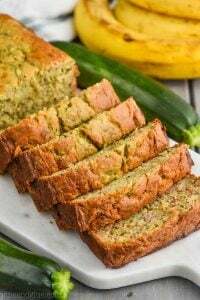 I am so excited to be sharing this post with you today because it is a virtual baby shower for Stephanie from Back for Seconds! I just love Stephanie. She is a super upbeat person, and one of the very first people in the blogging world to reach out to me about losing Elliot. Having experienced loss herself, it was so kind of her to reach out to me at a time when I wasn’t super confident about writing about loss. 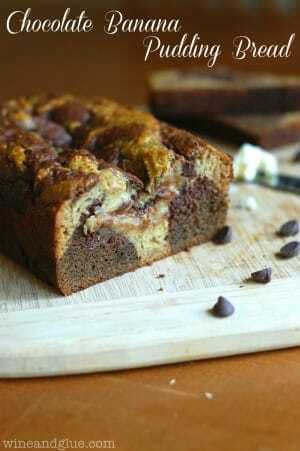 In addition to being a kind and compassionate person, Stephanie is an amazing baker and blogger! 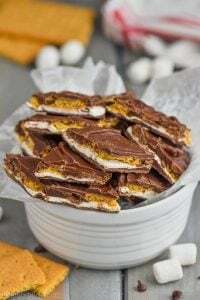 She has so many great treats on her blog but some of my personal favorites are her Tagalongs and her Homemade Kit Kat Bars! Stephanie just gave birth to an adorable little baby boy! And on New Years Day no less! So a bunch of bloggers got together to join forces and congratulate her with heaps of yumminess! Check it out! 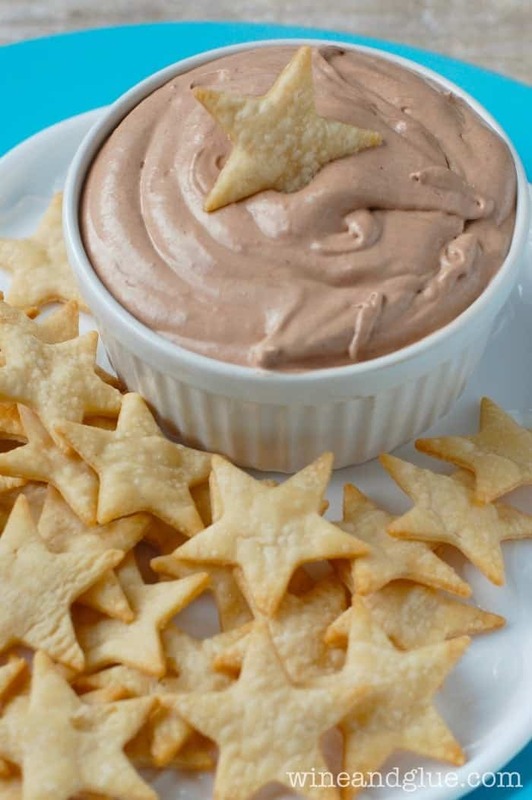 My contribution to the party is Skinny Banana Nutella Dip with Pie Crust Star Dippers. This dip is so perfect to bring to a party because it is super yummy, and really really easy to make. Plus, the star pie crust dippers make it look so special, and perfect to celebrate the arrival of a sweet baby boy. Mix all ingredients together and chill before serving. Roll out the pie crust and cut out the stars. 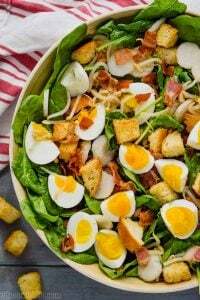 Bake on a parchment or silicon lined baking sheet for 8 to 10 minutes or until the edges are golden brown. You may want to rotate the tray half way through to make for even baking/browning. Everything about this is incredible! Love this! What a delicious contribution to the virtual baby shower! 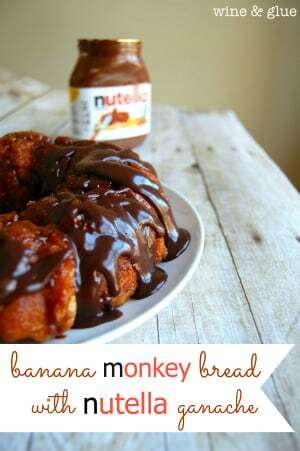 And you know how I feel about Nutella 🙂 Can’t wait to whip this up for the pending Super Bowl Sunday! I just LOVE pie crust and this dip sounds delicious! The pie crust dippers kind of made me feel like a genius Diane, even though I know 700 people have already done them, lol! But they are perfect with the dip! So happy you liked Stephanie!! A million hugs and kisses to you and your sweet baby boy! Oh wow! I love everything about this dip!! You’ve got a recipe with Nutella that is simple and SO cute with those pie crust stars (*genius) that looks delicious!! I can’t wait to try this! Pinned!!! Thank you so much for joining in today Lisa! 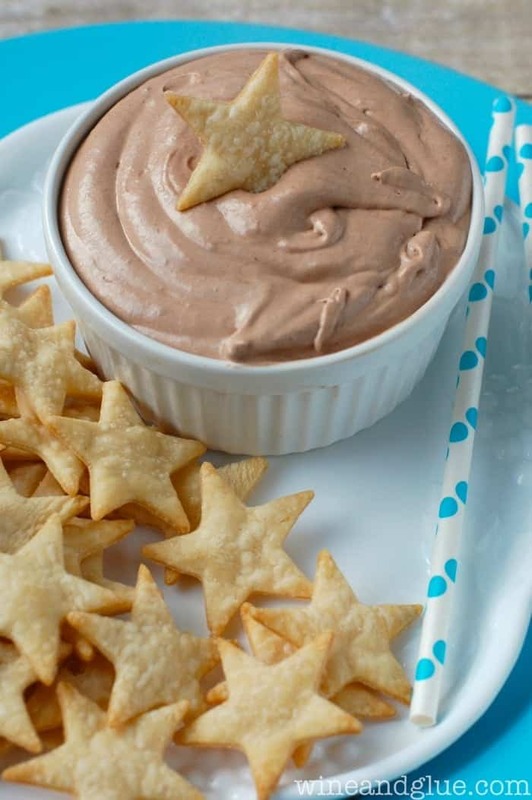 I loooooooooooove this dip and the dippers – love the stars! Thanks Dorothy! You are a rock star for organizing this! I love the star dippers! My favorite football team’s logo is a star. 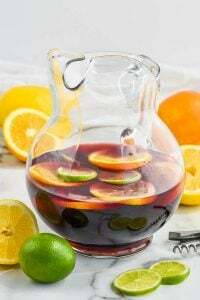 I’ll have to make this when they play! Oh how fun! Thanks Krystle! This is so darling! What a perfect party food! I’m in the midst of planning a baby shower right now, actually, and I love this idea–might modify it to fit our theme! How fun! Such a wonderful thing to celebrate! 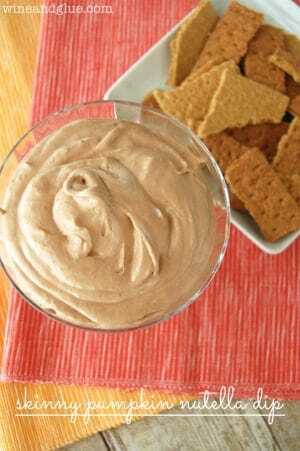 I love the chocolate banana combo in this dip! And the adorable pie crust dippers are so stinkin’ cute for a baby shower! !